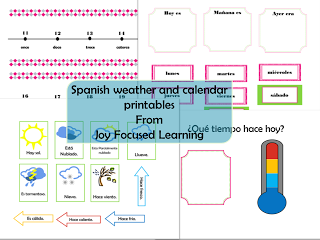 Get these free Spanish calendar and weather printables at Joy Focused Learning. Thank you very much, I started homeschooling this year and since i haven’t found a way on learning how to do my own printable is great to find resources in Spanish since they are not that many around. Thanks again and God bless you.